Dr. Backer is Senior Research Fellow, California State University, Northridge and Executive Director of CSUN Valley Nonprofit Resources, which provides services and information to strengthen the more than 5,600 nonprofits in the San Fernando Valley. From 1971-2014, he was a research scientist and then President of the nonprofit Human Interaction Research Institute, which conducted research on innovation and change in the nonprofit sector. The author of Strategies to Scale Up Social Programs: Pathways, Partnerships and Fidelity, along with more than 500 books, journal articles and research reports, his most recent book (with James Dearing and R. Sam Larson) is Strategies to Scale Up Social Programs: Pathways, Partnerships and Fidelity, published by Wallace Foundation. He has studied and written extensively about collaboration, including Evaluating Community Collaborations, published by Springer. His Ph.D. in psychology is from UCLA, where he also is Associate Clinical Professor of Medical Psychology at UCLA Medical School. Erica Shehane, MPH, LCSW, is Director of Research & Evaluation at Special Service for Groups, a Los Angeles nonprofit health and human service organization dedicated to building and sustaining community-based programs that address the needs of vulnerable communities. As Director, Erica provides leadership and guidance on many SSG R&E projects including: Technical Assistance Provider for the Asian & Pacific Islander populations as part of The California Department of Public Health, Office of Health Equity's, California Reducing Disparities Project; learning and evaluation for the South Los Angeles site of The California Endowment's Building Healthy Community Initiative; and the Outreach Partnership Program for the National Institute of Mental Health. Erica has over 15 years of experience working in non-profit, community health and mental health organizations on national and international evaluation projects. Read more about Erica Shehane here. Anthony Ortiz-Luis currently serves as the Executive Director of Valley Care Community Consortium, a collaboration of public and private community partners advocating for effective programs and policies to improve the health of San Fernando and Santa Clarita Valley residents. Founded in 1995, Valley Care Community Consortium collaborates with more than 150 community partners consisting of community-based organizations, clinics, faith based institutions, hospitals, public agencies, research institutions, and schools. Mr. Ortiz-Luis has two decades of experience bringing different partners together to advance health equity and improving the quality of life for all. Anthony specializes in connecting nonprofit organizations with researchers. He has led and participated in dozens of community-researcher partnerships with academia and independent research institutions. Mr. Ortiz-Luis has held leadership positions at local, national, and international non-profit organizations focused on improving the health and wellness of families and communities. Anthony earned undergraduate and graduate degrees in Sociology and Organizational Leadership respectively. He currently volunteers at a number of organizations including Cal State LA Alumni Association, YMCA, and church. Jocelyn Guihama is Director of Administration and Experiential Learning for UCLA Luskin‘s new Undergraduate Program in Public Affairs. In this role, she is charged to develop a program that places college seniors in community organizations and agencies as part of their senior year capstone. Prior to this role, she was Deputy Director of the Institute on Inequality and Democracy at UCLA Luskin, which supported research on housing justice, criminal justice reform and financial disobedience all completed in partnership with social movements and community groups. She also served as Executive Director of the UCLA Center for Civil Society managing research projects on and for the nonprofit sector. Jocelyn received her B.A. from UC Berkeley and earned her Master’s in Public Policy from UCLA, where she was a founding member of the department’s Alumni Council. Off-campus, she has served as Governing Board chair of MEND (Meet Each Need with Dignity), the San Fernando Valley’s largest social service agency and is a member of the Advisory Board of CSUN’s Center for Southern California Studies. Dr. Saetermoe is Lead Principal Investigator, along with three other PIs, Gabriela Chavira, Crist Khachikian, and Maggie Shiffrar, who are leading CSUN’s largest federal grant, funded by the NIH, BUILD PODER – Building Infrastructure Leading to Diversity; Promoting Opportunities for Diversity in Education and Research. Saetermoe supports campus and faculty initiatives that build research skills while advancing critical approaches to mentoring through extensive mentor training, most recently employing Theatre of the Oppressed (Boal) with Doug Kaback, Jose Paez, and Will Garrow from CSUN. Along with Edith Gurrola of IBHRI, Saetermoe is building a Health Equity Research and Education (HERE) Center to support health equity in the San Fernando and Los Angeles regions, in part through the integration of four new cluster hired faculty members, Yolanda Vasquez-Salgado, Kacie Blackman, Thomas Chan, and Claudia Toledo-Corral. Saetermoe, who has a history of NIH training programs and research, is writing books and manuscripts on her work in Latinx education, diversity and disability in the U.S. and Guatemala, and is pursuing new research in supporting faculty skills as White research allies to diverse students. Jared Ashcroft was raised on his family farm in Kirtland, New Mexico. After graduating with a BS in Chemistry from Long Beach State in California, he attended Rice University, where he was affectionately known as “Dopey”. At Rice, he worked for Dr. Lon J. Wilson, developing carbon based nano-bio immunoconjugates for use in medical applications. After earning his doctorate in Chemistry from Rice, he moved to Berkeley California to work in Dr. Carolyn Larabel’s National Center for X-ray Tomography at the Lawrence Berkeley National Lab. Currently, he is a Professor of Chemistry at Pasadena City College and runs an undergraduate research program attempting to infuse active learning in conjunction with remotely accessible microscopes into K-12 and university science curriculum. His hobbies include, reading, exercising and golfing. He spends time with his kids, Adam and Megan, watching them pursue their Olympic dreams as ice dancing figure skaters. 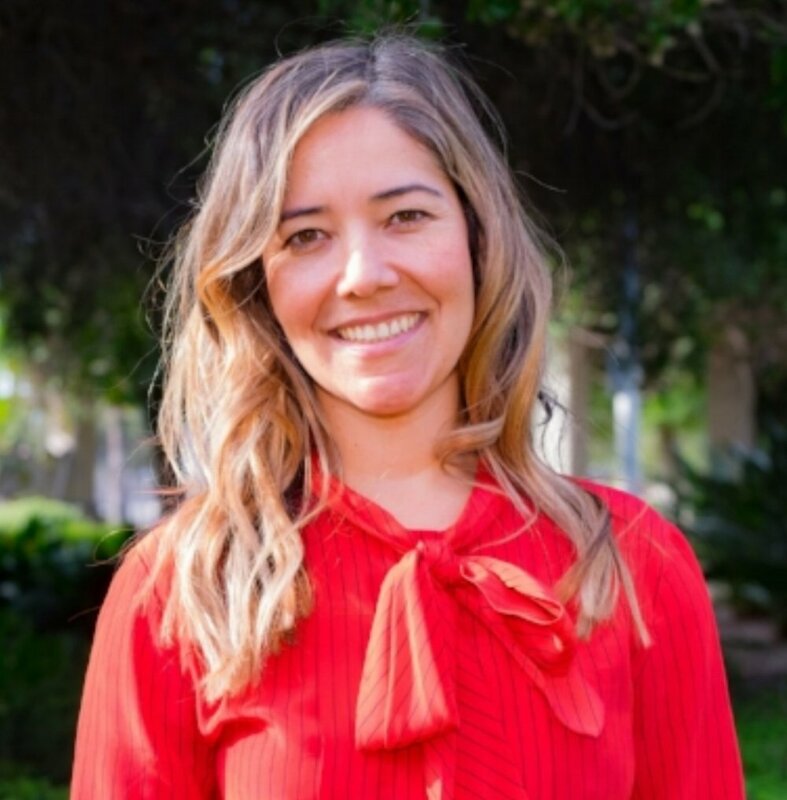 Dr. Toledo-Corral is an Assistant Professor in the Department of Health Sciences at California State University, Northridge and an Adjunct Assistant Professor at the University of Southern California (USC). She has a long-standing research agenda in the field of pediatric obesity and type 2 diabetes risk. Her most recent projects include the exploration of psychosocial and environmental stressors that may contribute to obesity in mother-infant dyads. In conjunction with USC, she is also piloting a college undergraduate internship program with the aim of practical work experience in community outreach. Their projects are centered on educating families of central Los Angeles on the dangers of household toxic exposures that increase health risks. Dr. Chan is an Assistant Professor of Psychology at California State University, Northridge. As a Developmental and Health Psychologist, he examines the lifestyle, social, and technological interventions that promote positive health and development. His attention is on building resilience and motivating scalable prevention in community settings—such as examining the role mentorships, community programs, and health technologies play in improving health and developmental outcomes in at-risk aging adults and their families. To do this work: he has received funding from National Institute of Health/National Institute on Aging to sponsor his Postdoctoral Fellowship in Epidemiology, Biostatistics, and Mental Health of Aging at Johns Hopkins Bloomberg School of Public Health (NIA-T32AG000247) and a Johns Hopkins School of Nursing Center for Innovative Care in Aging pilot grant. He has worked with The City of Claremont and communities in DC and Baltimore to improve the enriching services provided to their residents. 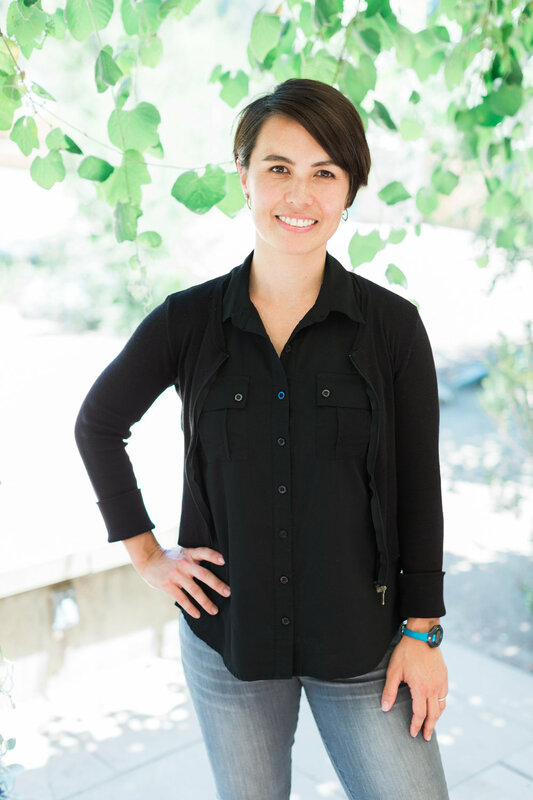 Yolanda Vasquez-Salgado is an Assistant Professor in the Department of Psychology at California State University, Northridge. Her research focuses on Latina/o, first-generation college, and low-income student populations. She utilizes various methodologies to investigate factors that contribute to the academic achievement and health (mental, physical) of these populations, with the goal of designing interventions to help promote their resilience. Her research has been funded by sources such as the Ford Foundation Fellowship Program, the American Psychological Association and the American Psychological Foundation. Outside of the laboratory, Yolanda has experience with aiding her community to reach their goals through participatory action research. Kacie Blackman is an Assistant Professor of Health Sciences at California State University, Northridge. Her work examines chronic disease prevention programs, sexually transmitted diseases programs, and building measures for sustainability within local communities. For example, Dr. Blackman has developed and tested mobile health technologies in vulnerable youth populations for improving healthy behaviors. In her postdoctoral fellowship work at the Institute for Health Promotion & Disease Prevention Research and Tobacco Center of Regulatory Science at the University of Southern California Keck School of Medicine, Dr. Blackman focused on the tobacco retail environment located in vulnerable populations and its impact on consumer behavior and retail outlet practices. Dr. Blackman has also worked with the Los Angeles County Public Health Department, medical providers, and non-profit organizations to improve screening and testing services of sexually transmitted diseases primarily in health disparate populations while enhancing health equity among local residents. Yolie Anguiano has a deep commitment to advocate for the communities of the North East San Fernando Valley. She has worked and led multiple health related initiatives and programs throughout Los Angeles to improve the quality of life of all living things. She’s developed and managed a job training program at M.E.N.D. in Pacoima to help families become resilient. She’s advocated to government on strategies to improve health and nutrition in our schools, child care and neighborhoods. Currently she leads an initiative to enhance and extend the East San Fernando Valley Nature Parkway, and launched Vitalize SFV which is dedicated to bring connectivity between recreational spaces and its residents. She received her BA in Psychology and Sociology from CSUN and a MA in Public Administration from USC.